Mount Puting Bato is the highest mountain peak in the Island Garden City of Samal (IGaCoS). Its elevation of 1,345 feet (410 meters) above sea level, makes it a favorite climbing destination and a must-see attraction in the island. 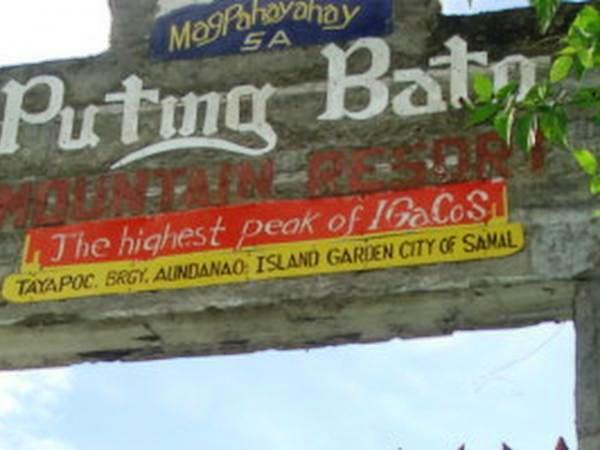 Puting Bato, which literally means "white stone" was so named because of the mountain's white limestone wall. 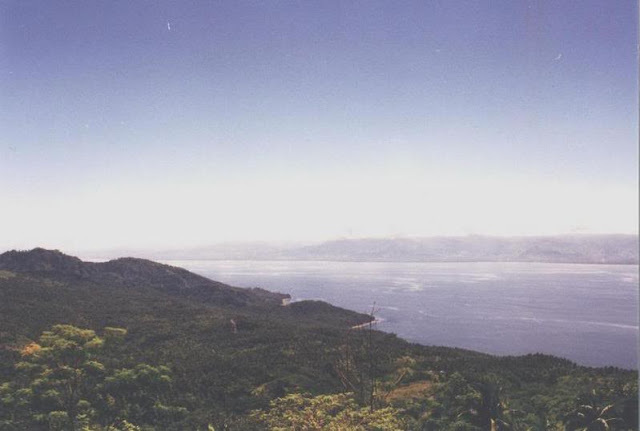 It is located in Barangay Guilon in Samal Island, a component city of the province of Davao del Norte. 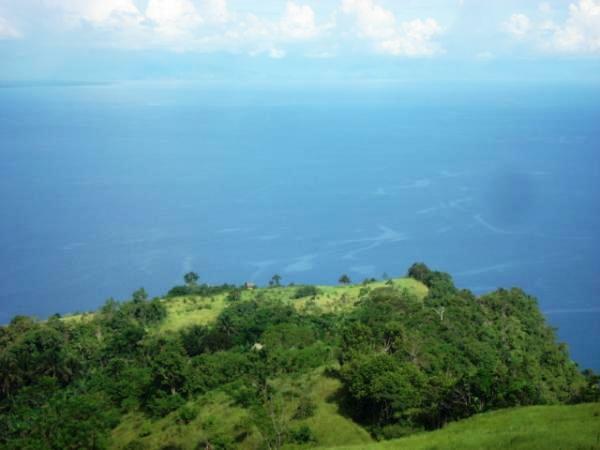 Its peak commands a stunning 360-degree view of Samal and the turquoise blue waters of Davao Gulf; mainland Davao City on the West; the lush green mountains of Davao Oriental on the East; and the verdant Compostela Valley on the North. Afar, view of Mount Apo, the Philippines' highest mountain peak, surely adds an astonishing view from top. Camping is a popular activity at Puting Bato for hikers or climbers staying overnight. From Davao City, there is an Island City Express Bus that boards a barge that ferries to Peñaplata in Samal. At Peñaplata, there are single motorcycles for hire popularly called "habal-habal" that can take you to either jump-off points to Puting Bato: the Guilon Trail and the other is Tayapoc Trail. The Guilon Trail takes about two hours of hiking through narrow trails and bushy woods, while Tayapok Trail, the shorter route, takes about half an hour of hiking through open trail and grassy incline to the peak. I just want to thank you, KULAPITOT, for regularly following my blog. Best regards. hello, where can we hire a guide to climb this beautiful mountain? thanks! saan po ba mg start yung trail ng puting bato?